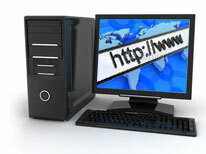 A professional, well-designed website is an important investment for any business. But it takes more than just an attractive design to capture people’s attention and convert them into customers. Did you know that the majority of website visitors decide whether they are going to stay on your site within just 5 seconds of arriving? That’s a very small window of opportunity in which to get their attention and is the reason why having a professional look and feel for your website is only the bare minimum requirement. If you’re serious about growing your business and you want to maximise your ability to attract customers online then you need to plan every detail of your website. Visitors need to be guided through a ‘buying process’ and encouraged to follow the path that you want them to. That is, the path that moves them from being a vaguely interested browser to becoming a fully engaged lead. Have a clear navigation that directs people to the important pages on your site. Feature your contact information in a prominent position on every page. Provide useful information that helps people make a decision, regardless of what stage of the buying process they’re at. Have a specific goal for every page that prompts visitors into taking a specific action. Give visitors an incentive to provide you with their contact details. For a friendly, no obligation chat about how you can improve your existing website or perhaps develop a new one to help attract more online leads for your business get in touch today.